The upper is made from a superbly breathable AirMesh which allows cool air to flow into the shoe at the same time as letting warm air leave, keeping the inside of the shoe and the foot as cool, dry and comfortable as possible. A DynamotionFit system has been used in the shoe construction which offers a secure and supportive fit around the foot and helps the foot to move effectively through the natural gait cycle. The DynamotionFit uses the latest motion capture and biomechanics technology. Mizuno's blueprint was designed to engineer shoes that work with the foot's gait cycle, therefore providing a shoe upper that connects with the foot wrapping it in comfort and offering a nice snug fit. A synthetic overlay construction adds stability and structural integrity to the upper, advancing and interlocking with the laces providing a more tighter and snugger fit. The overlays also add durability to the mesh, allowing them to last longer while you put in the heavy miles. A padded tongue, heel and collar provide superb cushioning in those areas to ease chafing and skin irritation. The infinity wave is a fully mechanical wave that allows for a running experience like no other, which provides maximum cushioning that last much longer than foam-based footwear. 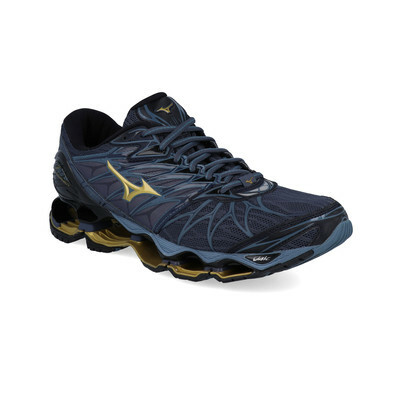 Mizuno has developed the Mizuno Wave which is an original technology that provides the right amount of cushioning and stability your body needs. The Mizuno Wave provides flexibility in one direction and support in the other while absorbing the shock without compromising on the comfort or cushioning. The initial shock is then transferred back to guide athletes to the next movement. 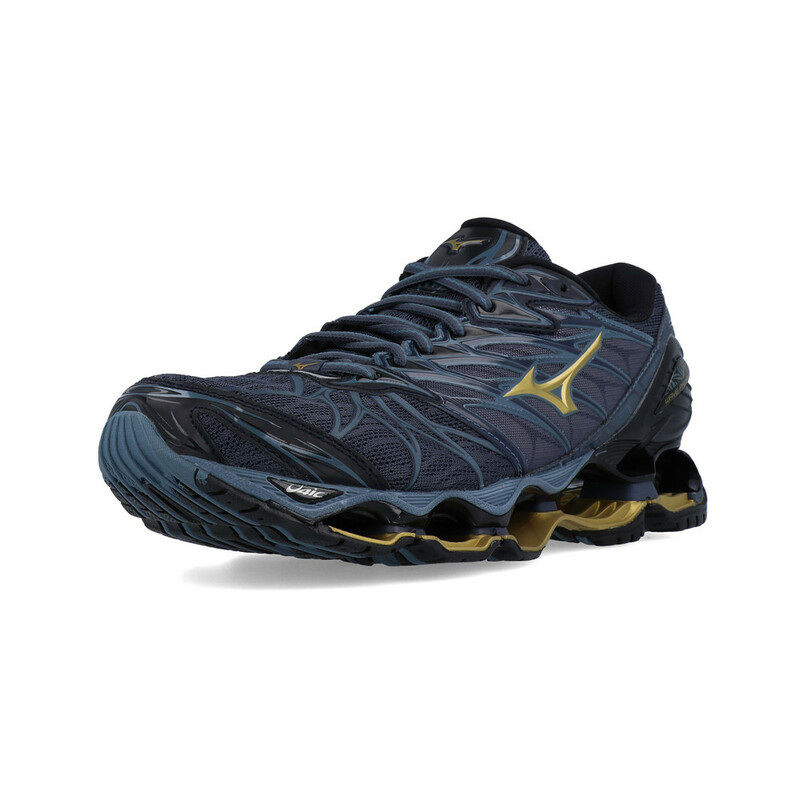 The Mizuno Wave prevents partial deformation and provides dynamic support to stabilise and guide the foot forward. Smoothride is also a key feature within the midsole and is an engineered approach which helps to create the smoothest ride possible by minimising the rapid acceleration and deceleration of the foot during transition. Additionally, a midsole compound known as U4ic has been used in the midsole construction which is an extremely lightweight and durable material, offering a high level of comfort to the foot as well as providing rebound properties. 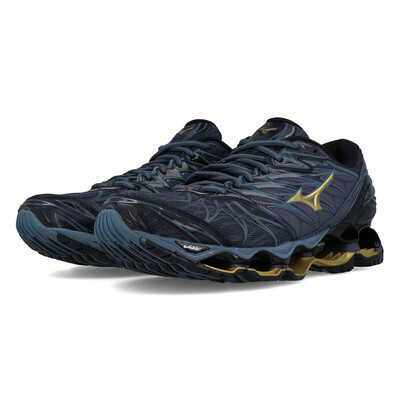 The Mizuno specific wave plate has been added to the shoes which are made from a sustainable compound known as Pebax Rnew which is a superbly durable material that offers amazing shock absorbing properties. 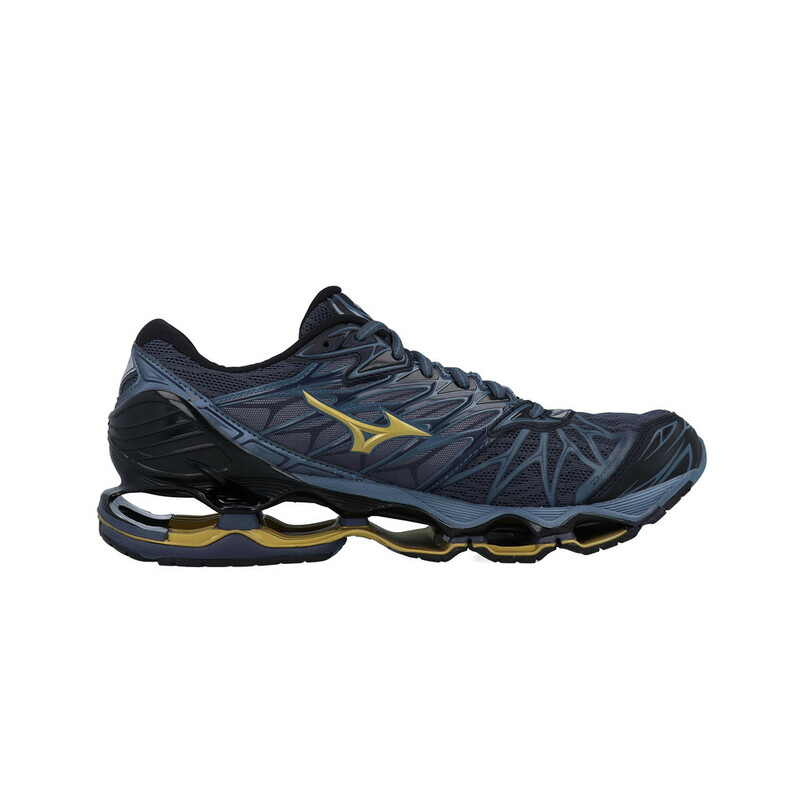 Mizuno have sandwiched their intercool system within the midsole and outsole to provide additional ventilation to the feet while running. 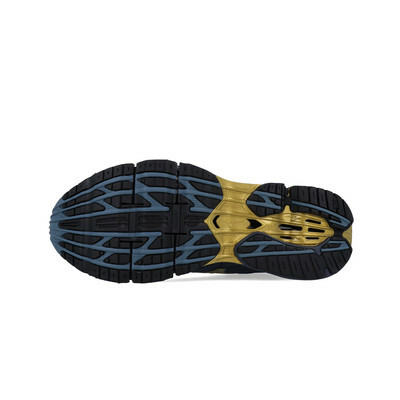 The full-length ventilation system reduces heat and humidity build-up inside the footwear by forcing it out of the channels that create the unique system. The X10 rubber is the most durable carbon rubber that allows for longer wear in high impact and high wear areas as well as supplements traction at heel strike. Now you can be fully confident in your running shoes on a variety of surfaces in a variety of weather conditions. Padded Tongue, Heel And Collar - Provides superb cushioning. Infinity Wave - Provides maximum cushioning that lasts much longer than a foam-based footwear. Pebax Rnew - A new thermoplastic elastomer range made from renewable resources and contributes to global warming reduction. Intercool - Full-length ventilation system in the shoes sole.